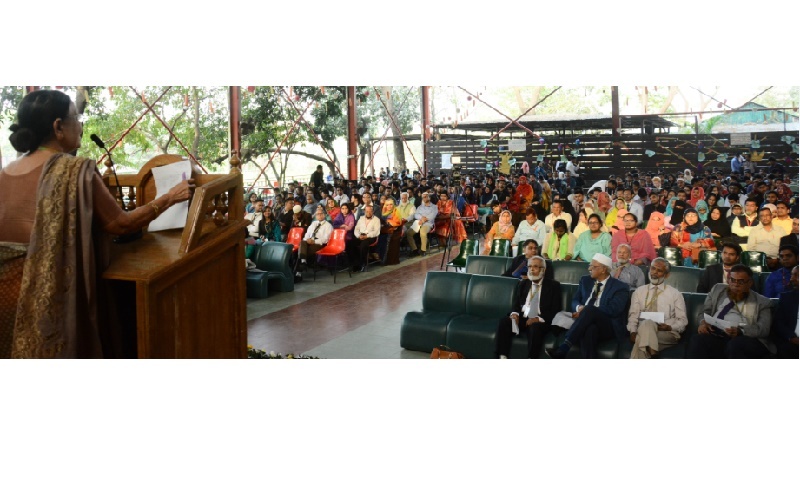 IUBAT Scholars Day 2019 was celebrated at the International University of Business Agriculture and Technology (IUBAT). This day was celebrated for meritorious students achieving excellence in the year 2018. On February 25, scholarships and certificates were awarded to meritorious students of the university's auditorium. In the 3 semesters of 2018 students who received 4.00 out of CGPA 4.00 in 3, 2 or 1 semester, they are given various cash scholarships and certificates. Program presided over by IUBAT Pro-Vice Chancellor Prof Dr. Hamida Akhtar Begum. She firstly greeted the meritorious students with sincere greetings. She said that not only will the admission of merit be admired in academic field but also to achieve moral and practical education and to gain knowledge from the surroundings. Later, she handed over cash scholarships and merit certificates among about 620 meritorious students of 9 departments of IUBAT. Their guardians also participated in this event with the students. The welcome address was delivered by Convener of the program Prof. Dr. Bishwajit Saha. Deans and Chairmen of various faculties also spoke, among them Professor Dr. Monirul Islam, Professor Dr. Shahidullah Mia, Professor Sirajuddaula Shaheen, Professor Dr. MA Haque, Professor Dr. AZA Saifullah, Professor Dr. Shariful Islam, Professor Mohammad Ullah, Professor Mohammad Shahjahan, Sheikh Ershad Hossain and others.